Land Rover Discovery 3 or 4 Revering Cameras are retro fitted to your Discovery, mounting in the factory location provides the optimum view whilst still being discreet. The camera replaces one of two rear number plate lights on your Land Rover Discovery 3 or 4. This gives you a clear view when reversing in any situation or even simply hitching up a caravan or trailer. The Reversing Camera body is designed to accommodate the original numberplate light, keeping your number plate illuminated when required. The Land Rover Discovery Reversing Cameras image is interfaced through the standard, factory installed screen. The display will automatically display the image when reverse gear is engaged. This gives you a fantastic quality picture through the factory fitted screen eliminating the need for extra monitors being added into your vehicle. We also offer similar products for Range Rover Evoque and Land Rover Freelander 2. 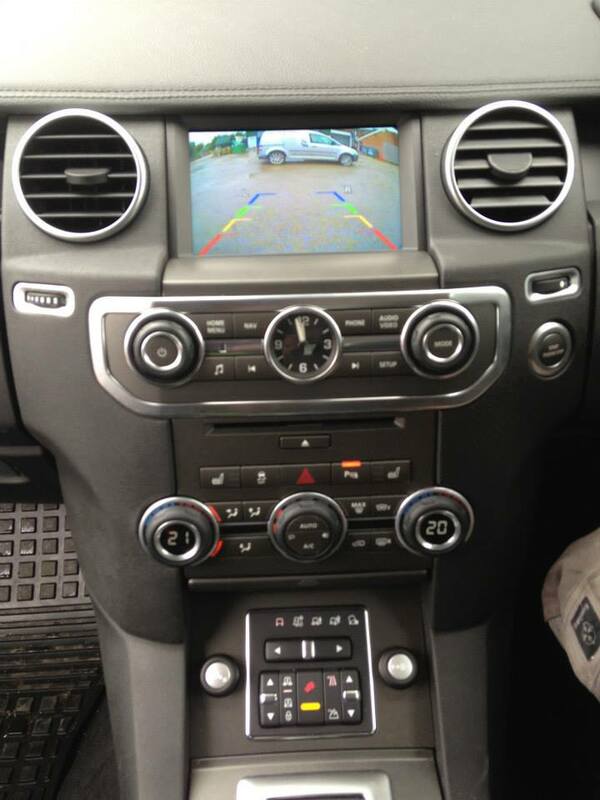 The Land Rover Discovery Reversing Cameras image is interfaced through the standard, factory installed screen. The display will automatically display the image when reverse gear is engaged. This gives you a fantastic quality picture through the factory fitted screen eliminating the need for extra monitors being added into your vehicle. We also offer similar products for Range Rover Sport, Range Rover Vogue and Land Rover Freelander 2. We provide a fully mobile installation service around Yorkshire including: Leeds, Pontefract, Castleford, Dewsbury, Huddersfield, Bradford, Sheffield, York and Goole at a location to suit you. If you would like more information on Land Rover Discovery 3 or 4 Revering Cameras please do not hesitate to contact any of our branches for free, friendly advice or contact us.